I finally got my Christmas present to me! I’m soooo excited about this! 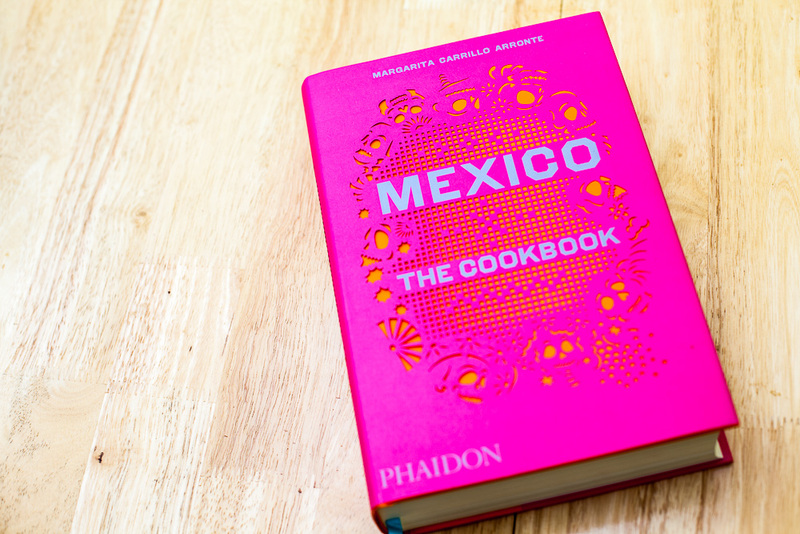 This book IS FULL of Mexico food recipes. It includes where each of the dish originated, tips on how the natives make it, and much more. The beginning of the book taught me all about the different meals they have here in Mexico. I always wondered why I would ask Jose what food he wanted and he would just respond with “real food”. What the heck…Give me details! I learned from this mexican food bible that “real food” is served during the middle meal of the day. “Comida”. They have like 5 courses!! What dedication! Spending your whole day in the kitchen for one meal. But this isn’t just a meal. This is a time for family to gather together and enjoy each other’s company. Sometimes you even go with extended family. On Monday, we went and ate comida with Abuelito. Here we spent time talking, eating, laughing, and then, of course, there was talk of the gospel. One of Jose’s favorite things to talk about with this family is the gospel of Jesus Christ. Comida is the perfect time for this subject to come up with his family. Life is so chill here. We just eat frijoles (beans), tortillas, and spend time with family. Here is a photo of my first American recipe I made in my oven. I’m very lucky to have a husband who leaves in the middle of my English class because he knows that I have been craving chocolate chips. He went on a search for these bad boys and bought a kilo of baby chips. The cookies turned out different than they usually do in the states. I guess I need to experiment more in the baking area here, but man, that dough was delicious. 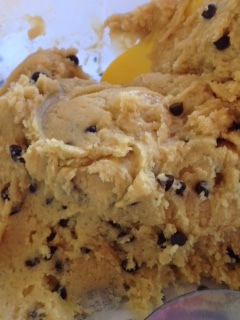 I know you’re not supposed to eat raw dough, but in all honesty…I’ve never actually seen someone get sick from eating this gooey mess. So until then, I will continue to enjoy my bowl of butter, sugar, eggs, flour, and chocolate.